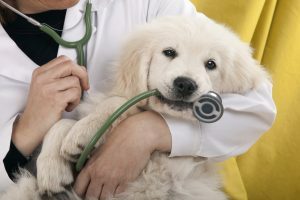 Our team at John Rolfe Animal Hospital is a group of highly trained animal lovers who are dedicated to their job. We love learning everything we can about the veterinary field so we can give all patients the care they deserve. Our team also treats all patients as if they were our own. All pets that walk through the door get plenty of love and attention so they can stay healthy. When they are ill, our staff makes it our goal to get them back to health as soon as possible. If you would like to speak to one of our staff members, feel free to contact us at (804) 918-4844.